Alice Doesn't Live Here Anymore is a 1974 American comedy-drama film directed by Martin Scorsese and written by Robert Getchell. 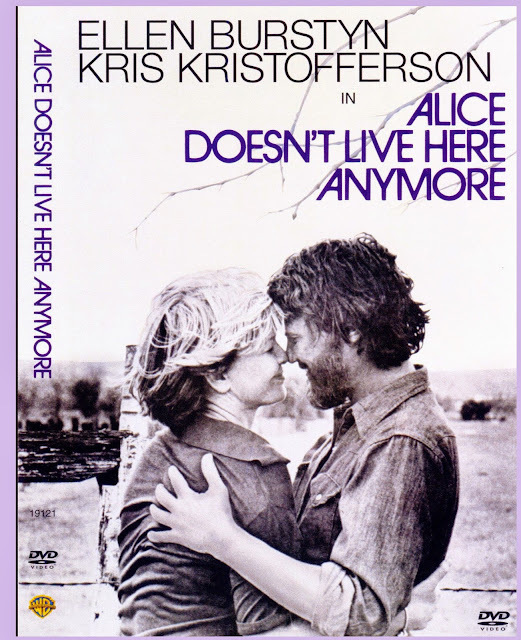 It stars Ellen Burstyn as a widow who travels with her preteen son across the Southwestern United States in search of a better life, along with Alfred Lutter as her son and Kris Kristofferson as a man they meet along the way. This is Martin Scorsese's fourth film. The film co-stars Billy "Green" Bush, Diane Ladd, Valerie Curtin, Lelia Goldoni, Lane Bradbury, Vic Tayback, Jodie Foster (in one of her earliest film appearances), and Harvey Keitel. Ellen Burstyn won the Academy Award for Best Actress and the BAFTA Award for Best Actress in a Leading Role for her performance, and the film won the BAFTA Award for Best Film. When Socorro, New Mexico, housewife Alice Hyatt's uncaring husband Donald is killed in an accident, she decides to have a garage sale, pack what's left of her meager belongings and take her precocious son Tommy to her childhood hometown of Monterey, California, where she hopes to pursue the singing career she'd abandoned when she married. Their financial situation forces them to take temporary lodgings in Phoenix, Arizona, where she finds work as a lounge singer in a seedy bar. There she meets the considerably younger and seemingly available Ben, who uses his charm to lure her into a sexual relationship that comes to a sudden end when his wife Rita confronts Alice. Ben breaks into Alice's apartment while Rita is there and physically assaults her for interfering with his extramarital affair. When Alice tells Ben to calm down, he threatens her also and further smashes up the apartment. Fearing for their safety, Alice and Tommy quickly leave town. Having spent most of the little money she earned on a new wardrobe, Alice is forced to delay their journey to the West Coast and accept a job as a waitress in Tucson so she can accumulate more cash. At the local diner owned by Mel, she eventually bonds with her fellow servers—independent, no-nonsense, outspoken Flo and quiet, timid, incompetent Vera and meets divorced local rancher David, who soon realizes the way to Alice's heart is through Tommy. Still emotionally wounded from the difficult relationship she had with her uncommunicative husband and the frightening encounter she had with Ben, Alice is hesitant to get involved with another man so quickly. However, she finds out that David is a good influence on Tommy, who has befriended wisecracking, shoplifting, wine-guzzling Audrey, a slightly older girl forced to fend for herself while her mother makes a living as a prostitute. Alice and David warily fall in love, but their relationship is threatened when Alice objects to his discipline of the perpetually bratty Tommy. The two reconcile, and David offers to sell his ranch and move to Monterey so Alice can try to fulfill her childhood dream of becoming another Alice Faye. In the end, Alice decides to stay in Tucson, coming to the conclusion that she can become a singer anywhere.